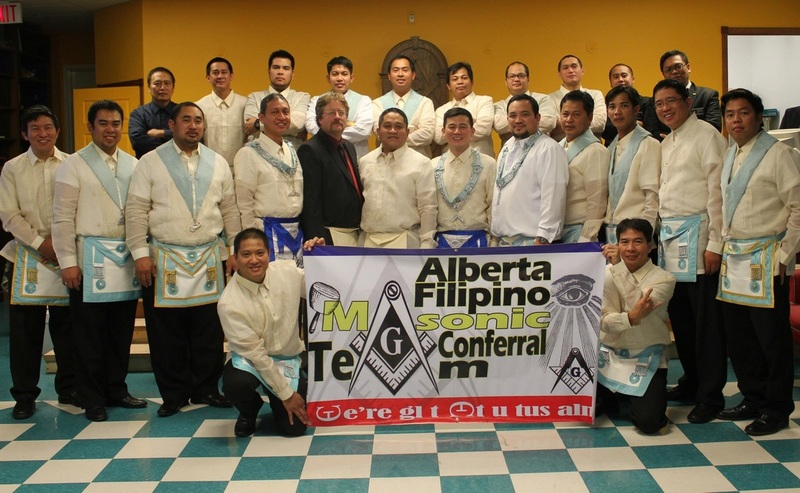 What is the Alberta Filipino Masonic Conferral Team? - The Alberta Masonic Conferral Team is a group of Filipino-Canadian Freemasons who bonded together to confer the Sublime Degree of Master Mason to candidates of Lodges in Alberta using the Ancient Works of the Grand Lodge of Alberta. What is the aim of the Team? - The Team aims to promote diversity in the Craft, highlight the warmth, joviality and proficiency of Alberta Freemasons of Filipino descent and to assist the Lodges in conferring the Sublime Degree of Master Mason to their candidates. How do they go about achieving this aim? - By providing education about the Philippines and how Freemasonry is practiced in that part of the world. Also, by encouraging Freemasons who are recent immigrants from the Philippines to join local Lodges, actively participate and demonstrate their proficiency in the Works of their respective Lodges. How can my Lodge avail of the services of The Alberta Filipino Masonic Conferral Team? - The Alberta Filipino Masonic Conferral Team is available to Lodges in Alberta that utilize the Ancient Works of the Grand Lodge of Alberta. - Advanced booking of 2-3 months will allow our members to arrange their schedules and afford the team at least a practice session. - A list of Zone Coordinators is provided at the end of this page. How else can the Team help Freemasonry in Alberta? - The Alberta Filipino Masonic Conferral Team will work to facilitate the introduction to the Alberta Lodges of Filipino immigrants and/or Canadians of Filipino descent who are interested in joining the Craft. - The team aspires to provide a venue for Filipino-Canadian Freemasons to get together in fellowship and to seek ways for mutual improvement and support within the Fraternity. - The team has agreed to adopt the Masonic Higher Educational Bursary as the beneficiary of its fundraising projects and 10% of the proceeds of their projects will be allocated to the Bursary. 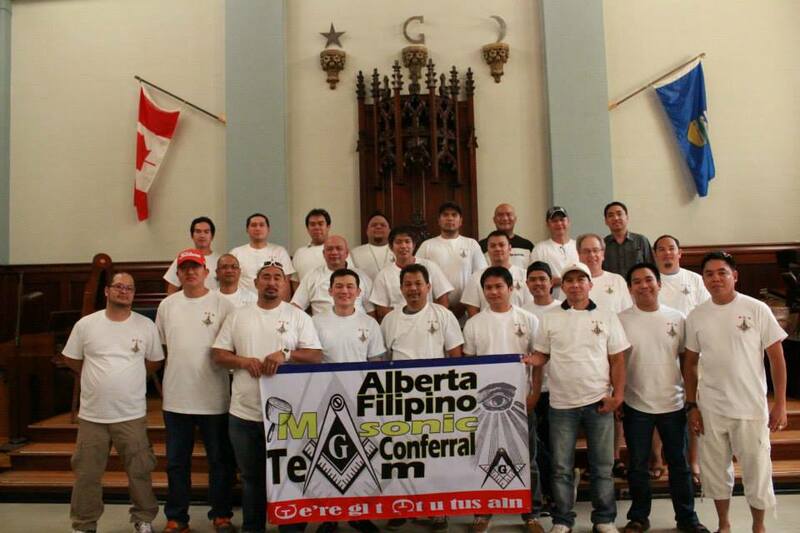 What is in the horizon for the Alberta Filipino Masonic Conferral Team? - Aside from conferring the Master Mason degree. The team is planning to host an annual "Dr. Jose Rizal Night"- similar to a Robbie Burns night. There are very uncanny similarities between the life of Bros. Jose Rizal and Robbie Burns- Bro. Rizal is the national hero of the Philippines, a poet and writer, a propagandist and revolutionary, a polygloth and an eye doctor and equally as amorous as the Scottish hero and brother, Robbie Burns. Who do you contact to avail of the AFMCT's services?